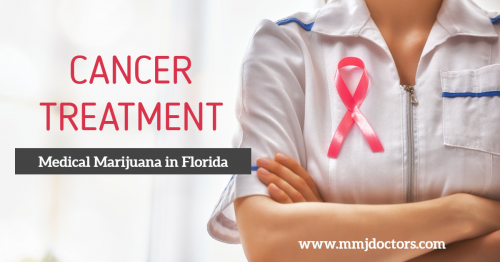 Cancer – qualified condition for medical marijuana in Florida and New York. New research has provided substantial evidence about what many people have long suspected: marijuana kills cancer cells. The National Cancer Institute recently published its research about Cannabis, indicating that it has shown positive results with killing cancer cells in the laboratory, while also suggesting that “Cannabis and cannabinoids may have benefits in treating the symptoms of cancer or the side effects of cancer therapies” (cancer.gov, 2017). Over 40% of brain tumor patients in the United States are using some form of alternative treatment with or instead of the usual cancer treatments like chemotherapy. How can MMJ Doctors Florida help? 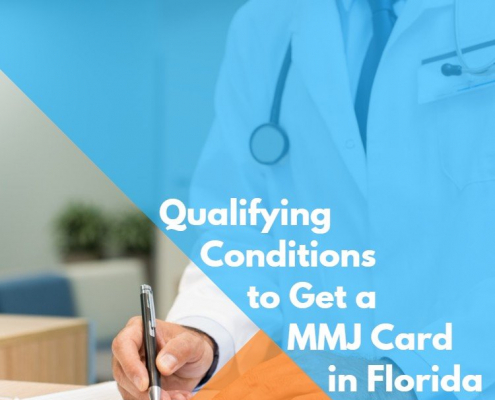 At MMJ Doctors Miami, the entire process can now be completed through consulting with a Florida-licensed medical marijuana doctor. Requirements include being 21 years or older, having appropriate identification, and having a qualifying medical condition such as Cancer. After filling out a short questionnaire that describes the pain or illnesses you are experiencing, which includes family medical history, a doctor will speak with you about the information you provided and assess your condition to determine qualifications for a medical marijuana recommendation. 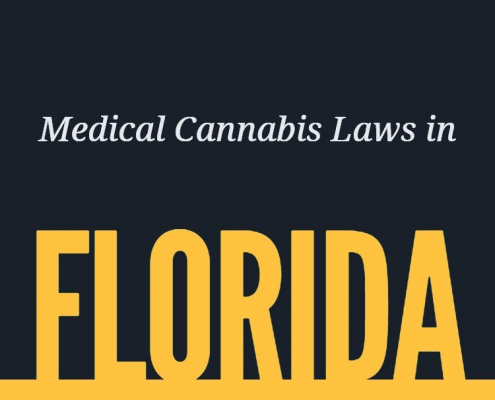 Once the doctor has recommended that medical marijuana use may benefit you and provided a signed recommendation letter, you will then be legally allowed to consume medical marijuana under certain guidelines according to the state of Florida. Cancer patients can choose from different types of marijuana, the form it comes in, and the dosage required, which is usually recommended by your medical marijuana doctor. The various forms of weed are differentiated by THC content and often come in a variety of forms such as smokable, edibles, and topicals. No medication, no matter how well it works in other patients, will prove effective when the person that is supposed to take it refuses to do so. By the same token, a medication that does its intended job could be viewed as unsatisfactory if it produces powerful side effects. Those two statements highlight the role that medical marijuana has played in cancer treatment. Cancer results from uncontrolled growth of what had been healthy cells. Healthy cells grow only when the body needs more of that specific cell-type. Cancerous cells keep dividing and multiplying, even when the body no longer needs more cells of that nature. The area with the uncontrolled growth is called a malignancy. Traditional cancer treatments, chemotherapy, and radiation kill any cell within a malignancy, in other words, all the fast-growing cells in the body. That includes the cancer cells. Unfortunately, such treatments can also kill the fast-growing cells that line the patient’s stomach. That causes the patient to feel nauseous. If either radiation or chemotherapy has been combined with the use of medical marijuana (MM), the patient does not experience the treatment’s unpleasant side effects. Whenever a group of cells grows at a rapid pace, it demands lots of energy. If a victim of cancer continues to eat the same number of calories each day, he or she will start to lose weight. Hence any sudden or dramatic and unexplained loss of weight could be a sign of cancer. Sometimes, the fast-growing cells form a tumor. The tumor can press on other tissues, keeping them from carrying out their intended role. A brain tumor can cause the affected patient to experience blackouts. In some tissues, such as those of the breast, a tumor can be detected during a physical examination. If the tumor presses on the skin, it produces evidence of its existence. If it presses on nerve-filled tissues, it could produce chronic or recurring pain. When cancer produces a tumor, that fact can encourage a misdiagnosis of a patient’s symptoms. For instance, a patient with prostate cancer experiences a decreased ability to hold the content of his bladder for a normal period of time; he wants to relieve himself frequently. That same symptom shows up among men that suffer from an enlarged but benign prostate. Cancer patients, both those with and without tumors tend to feel weak because the growing cells are sapping their energy. Still, other conditions can cause weakness. For example, an anemic patient feels weak because his or her body lacks a sufficient amount of iron. Use of medical marijuana can help a patient tolerate a prescribed treatment. If a patient feels anxious or nervous about a cancer treatment, such feelings can diminish the efficacy of the method prescribed by the doctor. When MM helps a patient to tolerate a treatment, that same person does not feel anxious or nervous, while following the doctor’s orders. Research has shown a direct link between anxiety and the degree to which malignant growth develops and advances. By using MM, a patient feels less anxious, and thus benefits more from the prescribed treatment. There are also new studies being done that show medical marijuana can actually slow the rate of malignant growths and help stimulate the development of new, healthier cells. Both chemotherapy and radiation remain among the treatments prescribed to cancer patients. Both of those treatments manage to kill fast-growing cells, such as those that exist in a malignancy. Unfortunately, they also kill any non-cancerous cells that are growing at a rapid pace. The body’s hair-producing cells grow rapidly. Consequently, a patient undergoing chemotherapy can expect to experience a loss of hair. By the same token, the cells lining the stomach have to grow fast, in order to counteract the sloughing off of the same cells. If the cells lining the stomach get killed, the affected patient starts to feel nauseous. Those statements point to two reasons that MM qualifies as a tool for offering a more effective treatment. If your doctor has told you that you have cancer and has prescribed chemotherapy or radiation, then you ought to consider the degree to which use of MMJ would make either of those two treatments more tolerable. If such considerations motivate you to go try MMJ, then you will want to make sure that you live in a state that issues cards to users of medical marijuana. If you are lucky enough to live in such a state such as Florida, then you must initiate the process that will allow you to become the holder of a state-issued ID card. Although you already heard your doctor say that you have cancer, you still have to see an MMJ doctor. You must share with that medical professional your desire to avoid the side effects that are associated with chemotherapy and radiation. The same MMJ expert should also tell you if you qualify for an MMJ card. If you find that you do qualify, then you can proceed to the next step. You must obtain a copy of your doctor’s recommendation. Also, make a copy of a document that proves your identity. In addition, get evidence of your in-state residency, normally your mortgage or rent receipt. All of this can be done at an approved medical marijuana physician’s office. 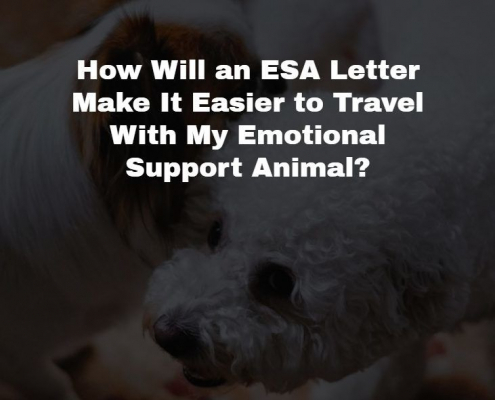 If approved, your card will be in the mail within 24 hours. Schedule an appointment to get your medical marijuana card now by clicking here.